Many thanks to our #WonderfulCommunity who have proven yet again to be winners! 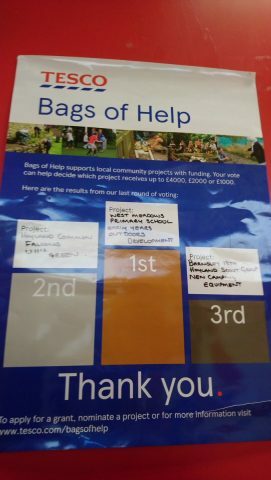 We have succeeded in our bid for EYFS Outdoor funding from Tesco’s ‘Bags of Help’ initiative – the token drop exercise after completing shopping. This is thanks to the support of everyone and as a school, we are incredibly grateful. Well done everyone, we are lucky to have such fabulous friends.